The Chinese military deployed fighter jets to patrol the country’s border with Myanmar after a cross-border bombing killed four Chinese villagers and left nine injured. Beijing warned its neighbor of "decisive action" if the incident is repeated. The jets will "track, monitor, warn and chase away" Myanmar military planes, Chinese Air Force spokesman Shen Jinke was quoted by Xinhua news agency as saying. Myanmar’s ambassador to Beijing, Thit Linn Ohn, was summoned to the Chinese Foreign Ministry on Friday, as Vice Foreign Minister Liu Zhenmin lodged a formal protest and demanded a thorough investigation into the incident, the agency reported. Liu called on the Myanmar authorities to “safeguard the security and stability in the border areas between China and Myanmar." China will take "firm and decisive action" to protect the safety of its people if any further deadly stray fire incidents should happen, Fan Changlong, vice chairman of the China Central Military Commission, said Saturday in a phone conversation with Min Aung Hlaing, commander-in-chief of the Myanmar Defense Services. Fan also demanded that Myanmar should punish the perpetrator severely, apologize to and compensate the bereaved families, and inform the Chinese authorities of the result, China Military Online reports. 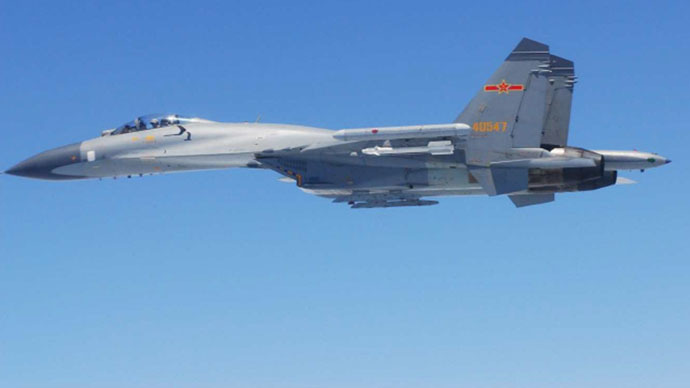 On Friday, Myanmar’s warplane bombed a sugarcane field near Lincang city in China’s southwestern Yunnan province, Xinhua reported. However, the Myanmar government denied its involvement in the incident after receiving data provided by the Chinese. "The GPS data, radar information and ground information all show our planes did not enter those areas as they had claimed," Zaw Htay, director of the President's Office, told Kyodo News, the Bangkok Post reported. He added that further meetings with Chinese officials will be held. The Myanmar military are fighting ethnically Chinese Kokang rebels in Shan state, with the violence occasionally spilling across the border. Earlier this week a shell hit a house on the Chinese side of the border while on March 8 another house was destroyed by a Myanmar bomb. The conflict between Kokang guerrillas and the Myanmar government has been ongoing for decades. The latest ceasefire was agreed to in 1989, but sporadic hostilities resumed in 2009. The current flare-up began last year and escalated in February, with violence focusing on the Kokang town of Laukkai. An estimated 30,000 people have fled across the border in recent weeks.